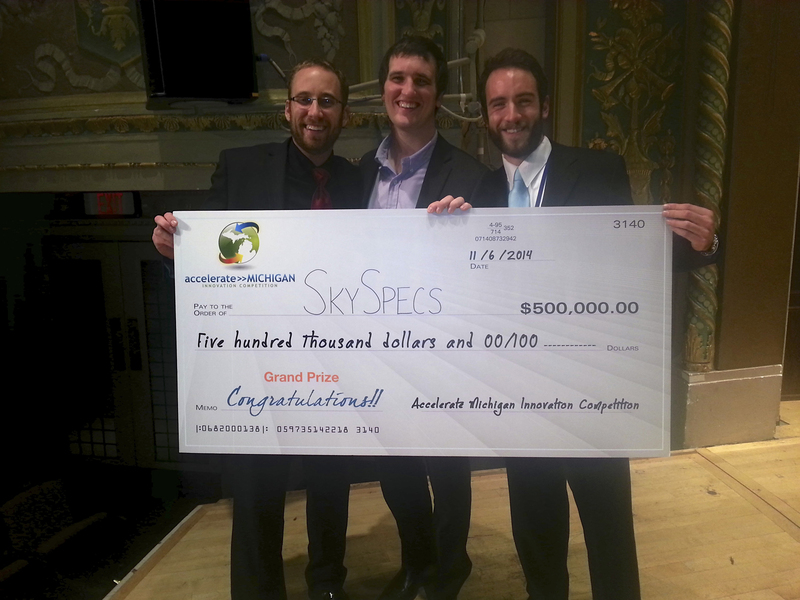 SkySpecs, the startup that develops and produces autonomous aerial vehicles for commercial and industrial use, continues to grow within the drone industry. The founders are current CSE graduate student Sam DeBruin, CE alum Ryan Morton, as well as two aerospace engineering alums, Danny Ellis and Tom Brady. The startup, staffed heavily with EECS alumni, is only 2 years old, but it has already raised thousands of dollars from investors. In October, SkySpecs also joined a four-month accelerator program in New York City through the R/GA Accelerator Program, which is powered by TechStars. TechStars has a global network of 100+ venture capitalists and successful entrepreneurs that help 10 lucky companies in each program. The accelerator program is designed for startups developing connected hardware products and software services with the goal of helping them build their businesses and brands. With the help of the program, SkySpecs is currently in the process of launching their first product, the Guardian. 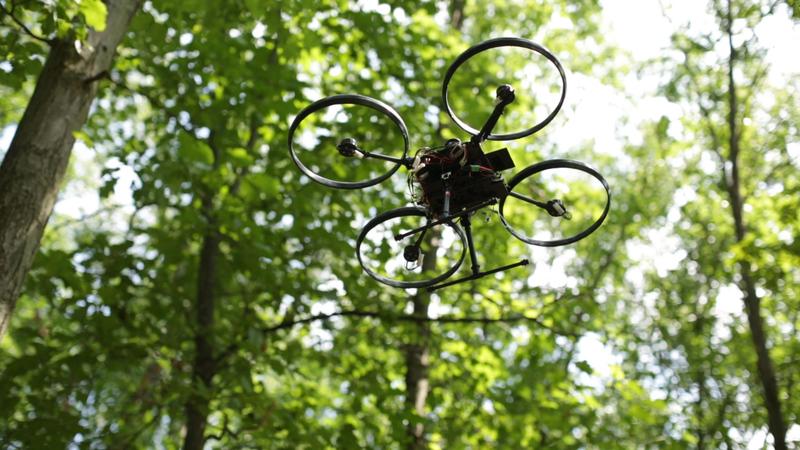 This product will help prevent collisions from aerial drones, buildings, trees, people, etc. through their object detection and avoidance system. The Guardian will be beneficial in the future as the number of drones in the sky increases. With their new product, they are tapping into a market with few competitors, and SkySpecs will continue to position themselves as the gold standard for sense and avoid technology.